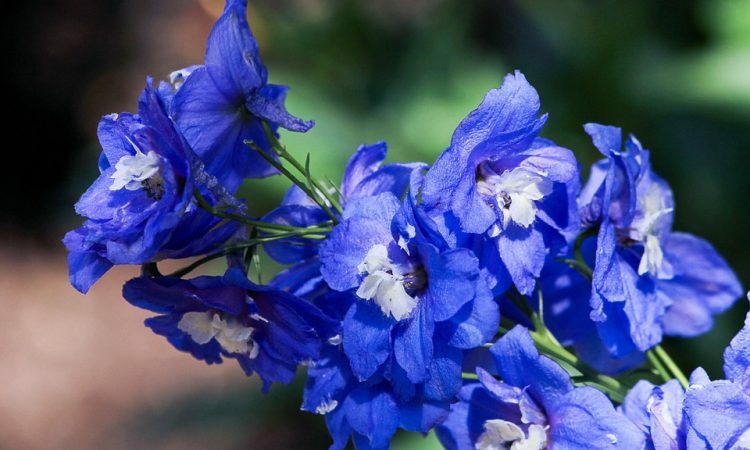 The modern delphinium is one of the most spectacular and popular of garden flowers. There are wide ranges of colors, several flower forms, and varieties of different heights. Hobby growers strive to produce the largest individual flowering spikes possible. PLANT RIGHT: Select a sunny location and a soil as deep which is rich as possible. In early Spring, set plants into a well-prepared soil. If the soil is tight or does not drain well, place a layer of rocks and gravel some 12 to 18 inches under the ground level. Work 1 pound of fertilizer per 25 square feet deeply into the soil. Set plants 2 feet apart, pressing soil tightly around them. SUMMER CARE: When plants are about 2 feet high, stake with bamboo poles. If moisture is needed, it is best to flood the soil with water, rather than to merely sprinkle. Keep the surface of the ground loose and free of weed growth. 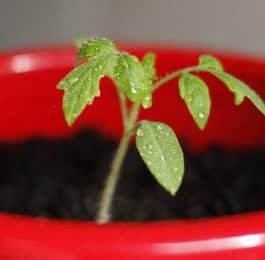 FEEDING IS NECESSARY: One month after transplanting, work 1 rounded tablespoonful of Fertilizer into the soil around each plant. Soak the plant food into the soil. Soon after blooming, delphiniums should be cut back and fed in order to induce a big second crop of bloom. DIVIDING: About every 3 years it is necessary to divide roots. This is an early spring job, just when the shoots breaking through the ground. Dig plants carefully, wash dirt away, cut clumps into sections, each with plenty of fibrous roots and one strong stem. 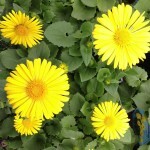 Plant immediately in well-prepared fibrous soil, setting plants so the crowns will be 2 inches below the surface. PROPAGATION BY CUTTINGS … is simple and easy. 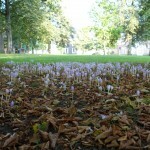 In the early spring when the shoots are about 2 inches high, dig the soil away, exposing the crown of the plant. Use a sharp knife and slice a thin heel from the crown. Place in water for 2 or 3 hours, then remove and dust with sulfur before placing in moist sand. Keep partially shaded and moist. After cuttings have taken root, move into 3 or 4-inch pots. They should be ready to transplant into the garden in about 5 to 7 weeks. DELPHINIUMS FROM SEED: Good seed is necessary to produce good plants. Hand pollination is generally preferred. Use a good, loose potting soil, firming it down into flats or pots with a wooden block and then moisten before sowing the seed. Cover seeds about 1/8 of an inch by sifting soil over them. Keep moist and shaded until seeds germinate, then remove shade. 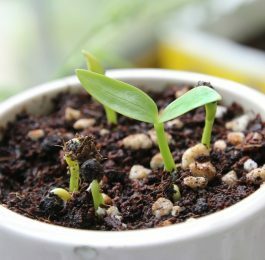 August sown seed produces seedlings that can be wintered over in a cold frame and given a permanent place in the garden the following spring.